A successful home purchase or sale nearly always starts with a good agent or broker. Real estate is a complex and continually changing business, and Marshall agents and brokers are trained and educated in its many rules, regulations and standards. They have the inside scoop on different Marshall, NC neighborhoods and areas and know what constitutes a fair price in the market. Hiring a pro in Marshall, NC also means you won’t have to deal directly with the prospective buyers or sellers, which may save you some tension. Awesome real estate firm in beautiful Asheville, NC. Current, Relevant, Local. Broker/Owner Paula Marzella is always actively working for her clients best interests. Kelly's focus on buyers makes her the perfect match to help you find your mountain dream home. She has a passion for people, real estate and the mountains of Franklin NC... and they've all combined to make for a positive experience for her buyer-clients. A proud Gator fan and University of Florida Alumni, Kelly was raised in Clearwater, FL... and she's an expert on helping fellow Floridians transition to a mountain state of living! 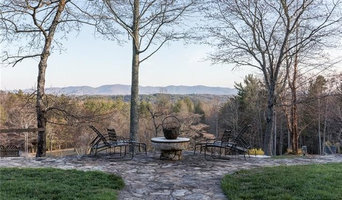 Broker of luxury real estate Asheville North Carolina As Broker/Realtor, Molly is consistently in the top 1% of all Brokers in Asheville and Western North Carolina. As a top performer at Premier Sotheby's International Realty, Molly provides objective advice to clients seeking to buy or sell in Western North Carolina. With a strong personal interest in outdoor pursuits such as golf, tennis, boating and hiking, Molly’s enthusiasm for the communities in which she sells is evident in her own lifestyle. Our team at Cottonwood Properties is dedicated to offering the best customer service possible, with high standards and a culture of caring. When you're looking for a Real Estate firm to help you navigate through the process of buying or selling, you need to choose a company that is experienced, local, and has a proven track record. Cottonwood Properties is a full service Real Estate firm focusing on sales and rentals in Asheville, Black Mountain, Montreat, and surrounding areas. We take pride in our knowledge of the Western North Carolina (WNC) region. Whether you’re looking to purchase a condo in downtown Asheville, or rent a vacation cabin getaway in the mountains, we’re here to help. In need of a property management company? Our rental division is purposefully focused on quality rentals for both Long term and Short term property management. Nest Realty is a full-service real estate brokerage specializing in residential, farm, and estate properties. We bring together top agents, cutting-edge technology, and unparalleled service to help clients throughout Asheville buy and sell real estate — and enjoy themselves every step along the way. We combine our passion for real estate and design to help you mindfully buy, sell and find resources for creating a warm and clean home that works for you and today's modern lifestyle in the mountains. Our Asheville home market offers many housing options within a small area, but at the same time we don't have everything. Kelly and I are juts the tip of the iceberg to a larger team of resources to help you buy or build your tailored nest here in the mountains of Western North Carolina. Whether it's scouting out the illusive architectural designed modern home, a retro ranch to remake, an industrial loft or cool condo -- we can help. We do the groundwork for you, previewing modern inventory, networking with skilled builder and staying in touch with potential sellers of both modern and uniquely designed homes. We are a boutique firm under the nationally known Remax umbrella. This provides us with the resources and knowledge to get your home sold or to find a new home! We are your local experts! Our niche market is sustainable homes and developments as well as working with investors. We offer additional consulting options for new construction, rehab and investment projects. Real Estate Agent in Asheville, North Carolina. Assisting home buyers and sellers in Western North Carolina. Representing Buyers and Sellers of fine residential, club, and estate properties. Jason Bellamy is a licensed Home Inspector and Certified Radon Technician serving the Asheville area in North Carolina. At Asheville Property Consultants, we think of ourselves as real estate matchmakers. If you’re buying, we dig deep to discover your true wants and needs as well as your long-term financial objectives, creating a solid plan for finding the perfect home in the neighborhood or community that best suits your lifestyle. If you’re selling, we’ll provide you with personalized, professional representation to make the process as efficient and profitable as possible. And we don’t take the speed-dating approach that many agents do; we realize that buying or selling real estate is one of the biggest decisions you will make in your life, so we work closely with you until we find the ideal fit. WHO AM I? I am a Realtor/Broker at Coldwell Banker King real estate located in Asheville NC. I serve clients in all areas around Asheville including the counties of Buncombe, Madison, Haywood, Henderson, Rutherfordton, and Transylvania. I help people find their dream homes in the greater Asheville NC area. You will work directly with me the broker and get personalized service and will not be passed around six team members. I specialize in home buyers and sellers seeking to find their next home and seeking to find a new owner for their existing home respectively. 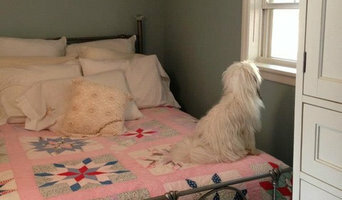 See my ratings at Zillow On Line Home Search: <a rel="nofollow" target="_blank" href="http://www.zillow.com/profile/zuser20150528135833711/Reviews/">http://www.zillow.com/profile/zuser20150528135833711/Reviews/</a> If you are moving from out of the Western NC area or out of state and need a broker to help sell your home, I can refer you to some of the finest brokers in the country to assist you in pricing and marketing your home to gain you the highest value and quickest turnover possible. Coldwell Banker was founded in San Francisco, California in 1906 and is the world´s leading real estate network. We are located in 50+ countries - with 100,000+ colleagues. We are the top in marketing and sales nationwide - while some 80-90% of all properties are sold mainly via the internet.